Lia Carswell is an Artist with a capital "A." She's not your average dabbler, no, she's an artiste! I got really tired of hearing how she paints what she feels and everyone who sees her paintings practically faints with admiration. She's the kind of painter that describes her artistic process like she's painting with angel feathers - the kind of artist that makes me want to throw something. I'm allergic to artists who act like what they do is something mystical and magical and not just putting paint on canvas so I had a hard time with that aspect of this book, but if that's probably just me. Other than the artiste stuff, this is a solid book. 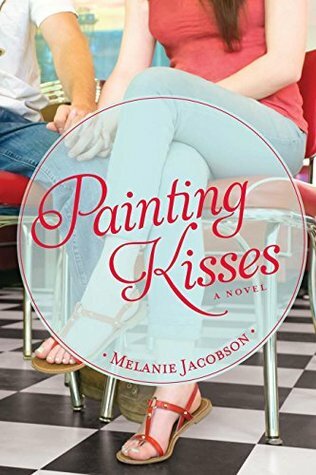 It's my least favorite book so far by Melanie Jacobson but it's still a good read. The romance was interesting and the stuff with the niece was good but it relied too heavily on the art and on one pretty crazy coincidence. I would have preferred it if the big conflict in the past hadn't been a bad experience with a man. I just think that was a little bit cliche. This is a good, solid book, but not nearly as much fun as I have come to expect from this author. 4 1/2 stars. Review: How do I Know If I Know?